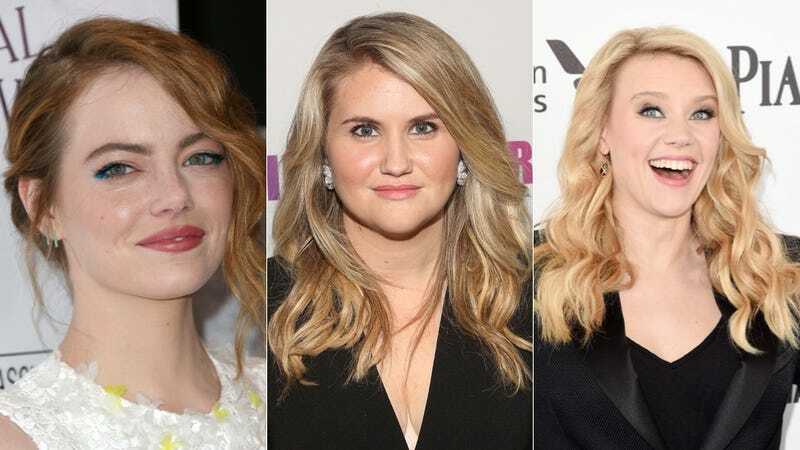 A comedy titled Women in Business is in the works starring Kate McKinnon, Emma Stone and Jillian Bell. It’s about women in business. This script about women being all businesslike was so hot, in fact, it provoked a bidding war between studios. But a man, of course, is directing it: Jake Szymanski, who’s worked on Funny or Die and Saturday Night Live and directed the comedy Mike and Dave Need Wedding Dates, which stars Zac Efron (sidebar: I just watched We Are Your Friends and it’s bad) and Anna Kendrick, and will hit theaters in June.